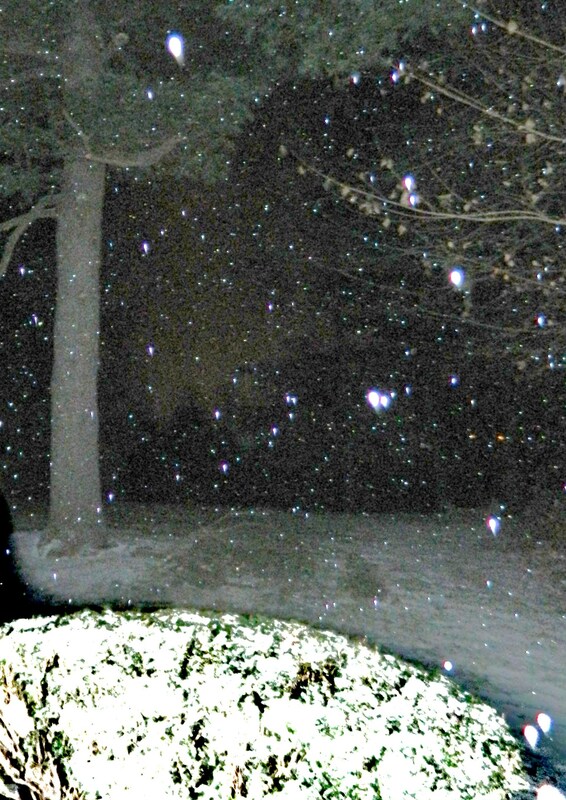 Photo by Jacqueline Bennett A White Christmas in Connecticut – photo taken about 5 a.m. Christmas morning 2017. I watched “White Christmas” starring Bing Crosby and Rosemary Clooney three times this season on the AMC channel. I never tire of it. Oh that Vermont lodge! The train ride to New England. The late night scene with Bing and Rosemary by the fire -“when I get weary and I can’t sleep, I count my blessings instead of sheep.” The scene when the retired general arrives in uniform. Of course the story culiminates with the singing of “White Christmas”, and at last – the beautiful snowfall! Oh, old Hollywood – thank you for this classic.